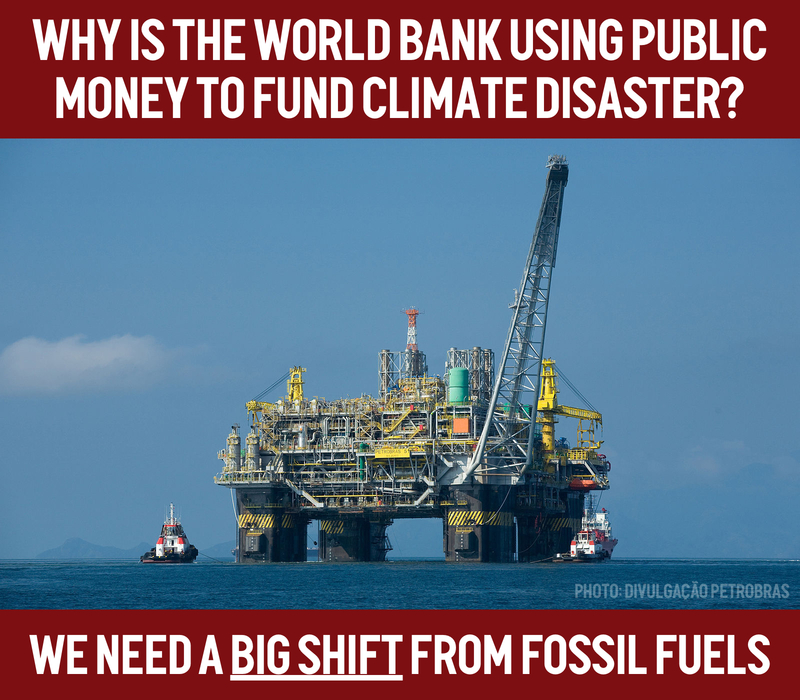 As more than 200 civil society organizations from over 55 countries, we urge all multilateral development banks and G20 nations to commit to phase out subsidies and public finance for fossil fuels as soon as possible, with a total phaseout by no later than 2020. This ongoing government support for fossil fuels undermines global climate mitigation and adaptation efforts. As leaders gather in Paris, France for the One Planet Summit, climate impacts around the globe are mounting in severity each year, and the poorest and most vulnerable continue to be hit first and hardest. The Paris Climate Agreement’s objective to “align finance flows with low-emission, climate-resilient development and to shift public finance away from high-emitting infrastructure” is more urgent than ever before. But instead of funding the solution, G20 governments and multilateral development banks still overwhelmingly fund the problem. For the most recent three years where data is available, G 20 public fossil fuel finance averaged $71.8 billion annually – nearly 90 times the rate of global assistance for small island developing states for resilience to climate change and disasters at only $800 million annually. And the multilateral development banks financed projects with fossil fuel exploration components at $1.8 billion annually – three times the rate of all global climate-related development finance to small island developing states, at $550 million annually. ● Set a clear timeline for the phase out of public finance for oil, gas, and coal production, starting with the elimination of all finance for fossil fuel exploration and coal, except in extreme cases where there is clearly no other viable option for increasing energy access to the poor. Fossil fuel finance should be phased out no later than 2020. ● Commit to transparency and accountability by tracking and publishing greenhouse gas emissions of all investments, making these figures publicly available on an annual basis, and establishing a clear timeline to achieve a science-based reduction of portfolio-wide emissions. ● Set a clear timeline for the full and equitable phaseout by all G20 members of all fossil fuel subsidies by 2020, starting with the elimination of subsidies for fossil fuel exploration and coal. ● Set a clear timeline for the full and equitable phaseout by all G20 members of domestic and international public finance for oil, gas, and coal production by 2020, except in extreme cases where there is clearly no other viable option for increasing energy access to the poor. Fossil fuel finance should be phased out no later than 2020. ● Commit to be fully transparent about all fossil fuel subsidies in a consistent format made publicly available on an annual basis, to increase transparency of reporting on investment in fossil fuel production by publicly-owned financial institutions, and to complete fossil fuel subsidy peer reviews by the end of 2018. Recent assessments have found that: a) G20 nations are providing billions in public finance to fossil fuel production, at more than 4 times the rate they are supporting renewable energy; b) multilateral development banks funded more than $5 billion in oil, gas, and coal production in 2016, after the Paris Climate Agreement was reached in December 2015; and c) G20 governments spend more than $444 billion each year on support to fossil fuel production alone. All of this public support to fossil fuels comes as we must rapidly shift investment towards clean energy, and despite clear evidence that we need to keep at least 80% of existing fossil fuel reserves in the ground if we hope to avoid the worst impacts of climate change. We urge multilateral development banks and G20 leaders to take the decisive steps toward ending public support for fossil fuels outlined above. Governments of the richest countries in the world, and their key institutions must establish an ambitious 2020 deadline for the phase out of subsidies and public finance for fossil fuels, in order to drive sustained and scaled-up climate action.